Wonder is a free responsive magazine and multimedia blogger template. It is premium stylish blogger template comes with 3 pre-designed skins, 2 post layouts, 4 types of label, featured slider and many other features. 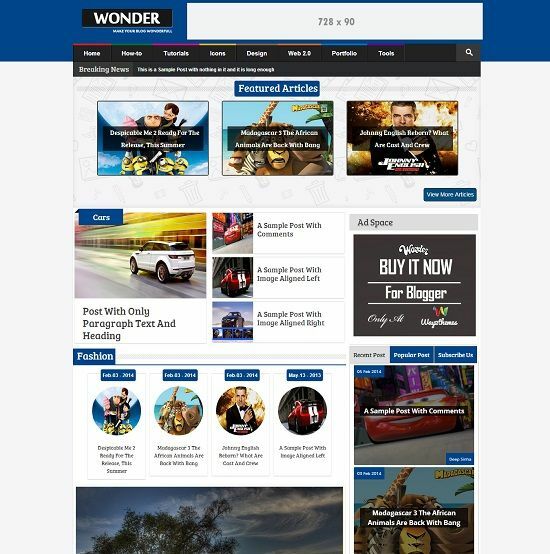 Wonder blogger template is perfect choice for online magazine, tech, news, editorial and personal blogs.